Anyone who knows me understands how much family means to me. The love I have for my family is endless. Any chance I get to be with Jacob, my parents, siblings, nieces and nephews is time well spent. But family doesn’t always have to be blood. I have girlfriends who are just like sisters to me and a group of guy friends who act like little brothers. 1. Oven and dry ingredients. First things first — set the oven to 350 degrees before you start anything else. 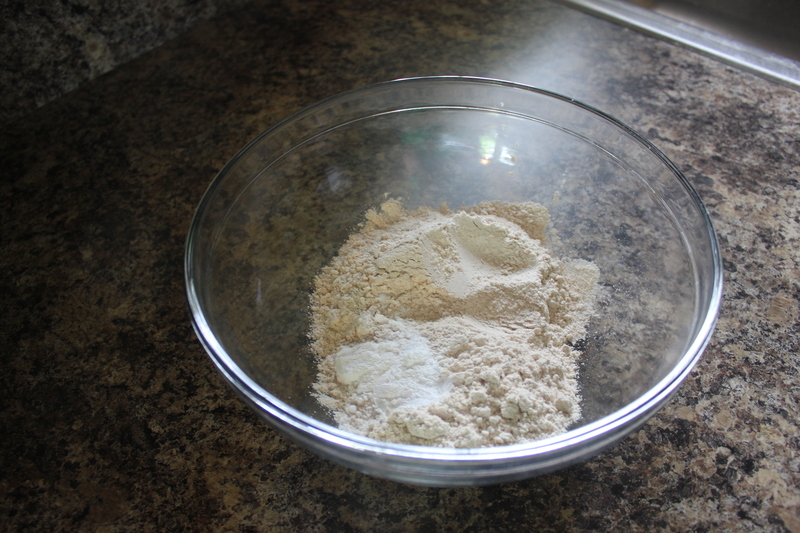 Combine the flour and baking soda together in a large bowl, until both ingredients are well incorporated. 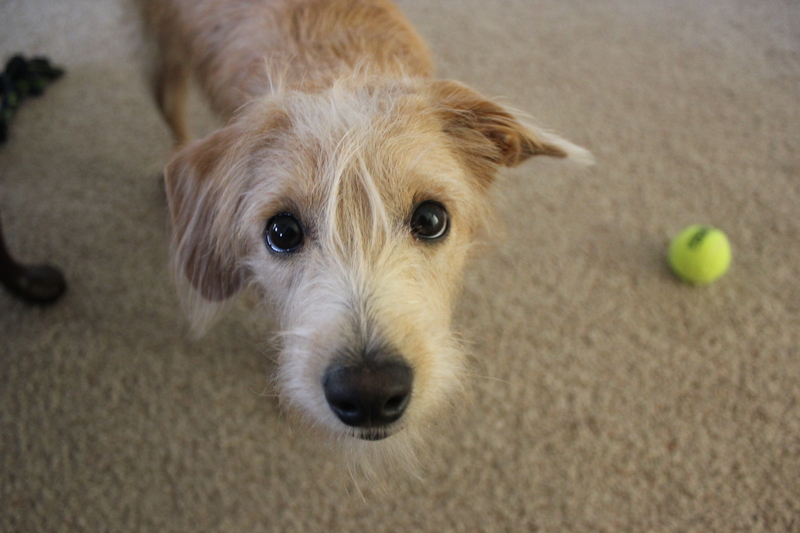 Since this dish is for our furry friends, it’s really important to not use white flour. It’s a much healthier and safer option to use whole wheat, brown rice or rye flour that is more organic and contains less preservatives. 2. Wet ingredients. 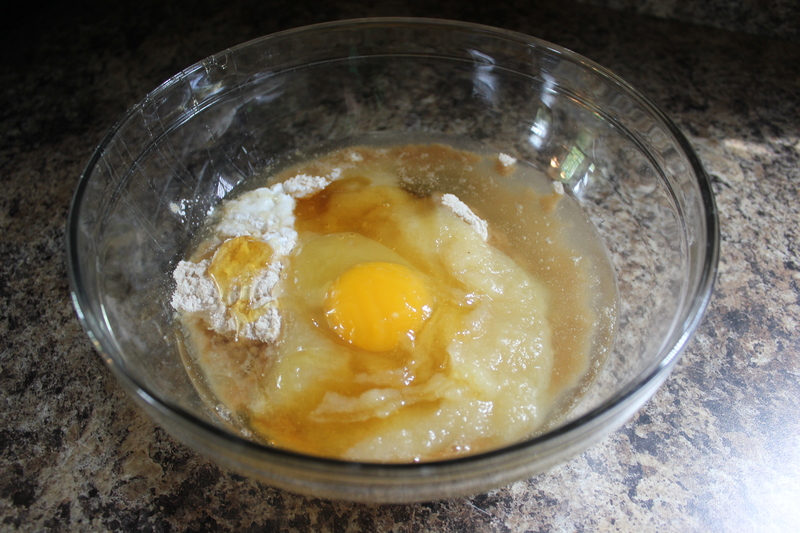 To the flour and baking powder, add the canola oil, applesauce, egg and honey until everything is well combined. 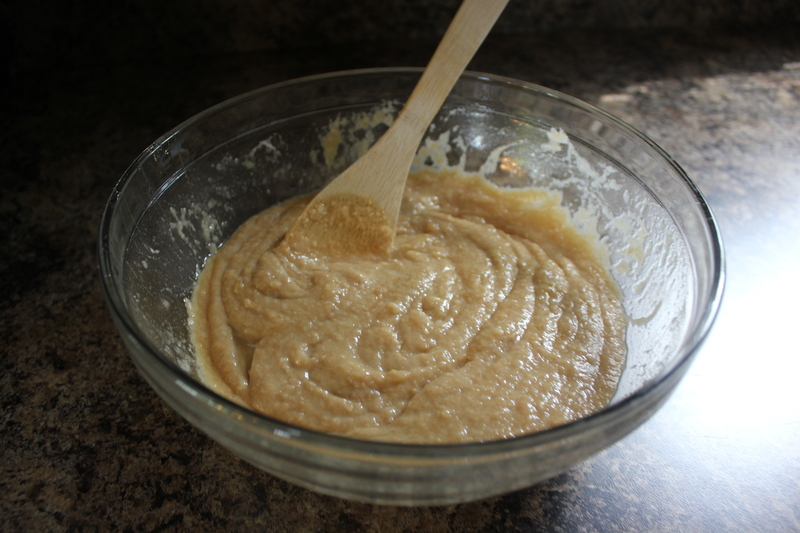 The mixture should almost like bran muffin batter, with a thick, creamy-like texture. 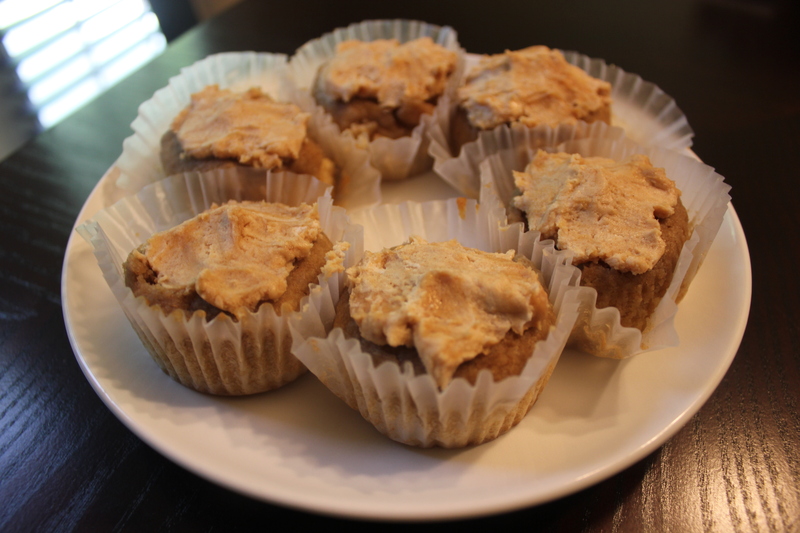 One nice thing about this treat is that it can be enjoyed by both humans and dogs. There’s really no ingredients that we can’t consume ourselves plus it has healthy, fresh ingredients that our four-legged companions can also eat. 3. 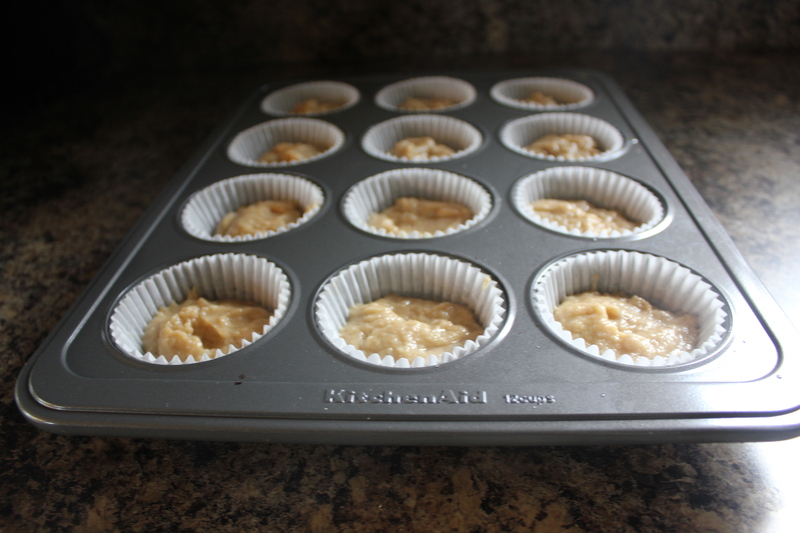 Cooking the “pupcakes.” Take a muffin pan and spray each cup with some nonstick cooking stay. 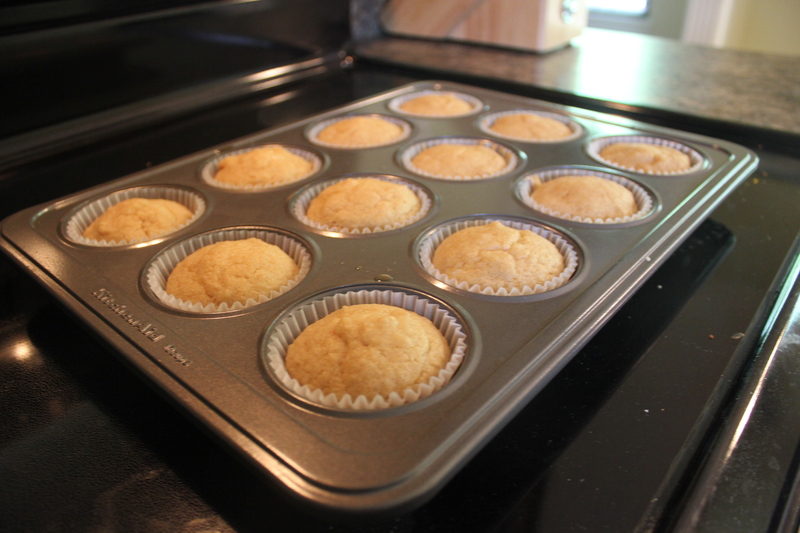 You can choose to add muffin cup liners, which help make cleanup easier and makes the final product easy to pick up. 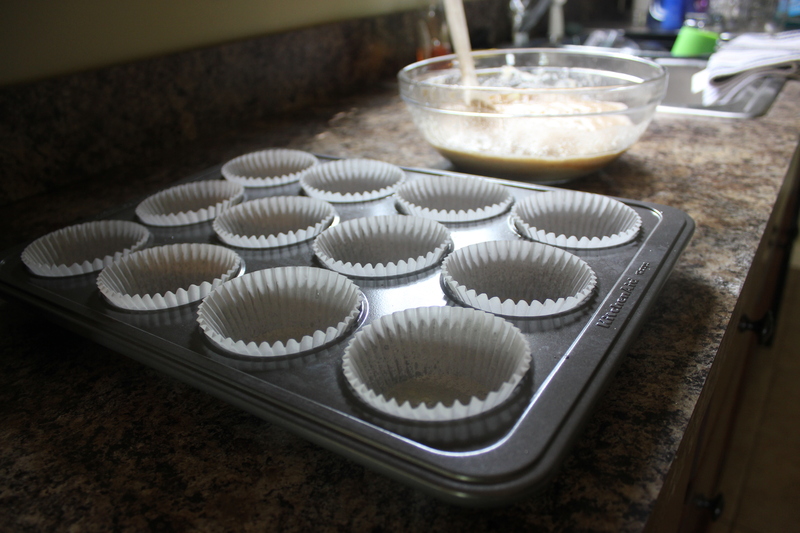 If you do choose to add the liners, make sure to spray those too so the batter doesn’t end up sticking. 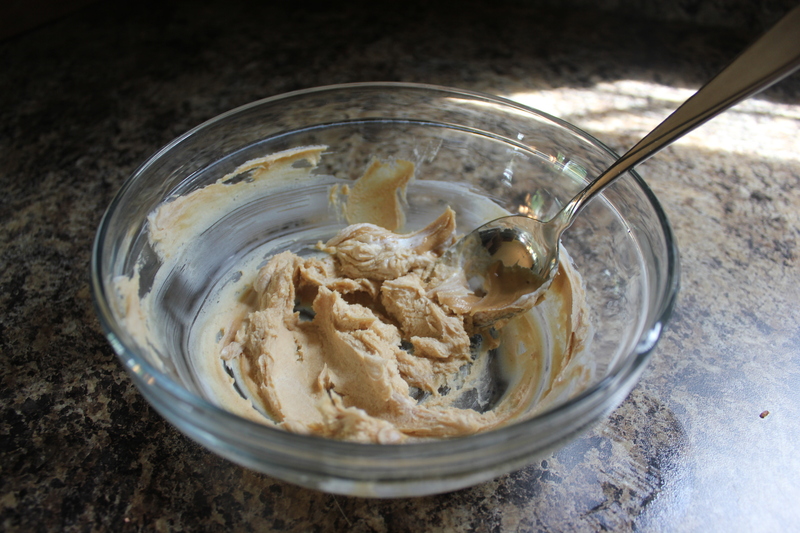 Spoon the mixture about halfway into each cup so the batter has room to rise and not spill over. Bake the “pupcakes” for about 10-12 minutes or until golden brown. 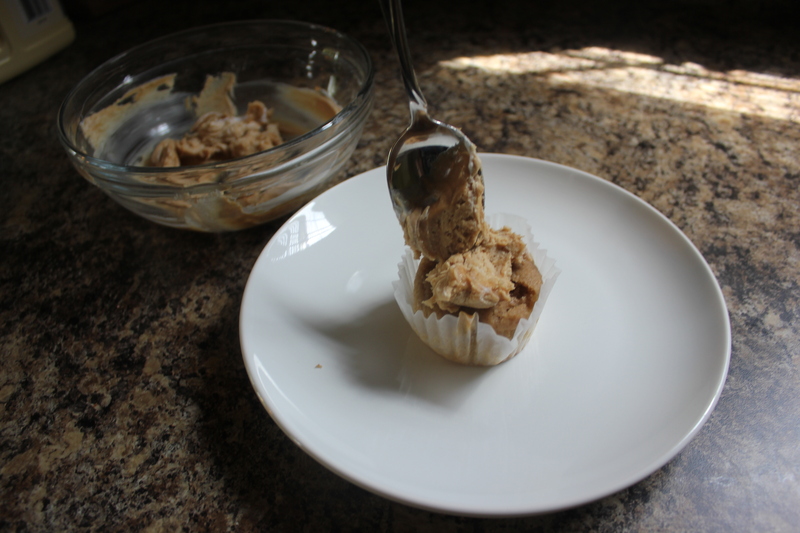 You should be able to stick a toothpick or knife in the center and have it come out clean to know its fully baked. 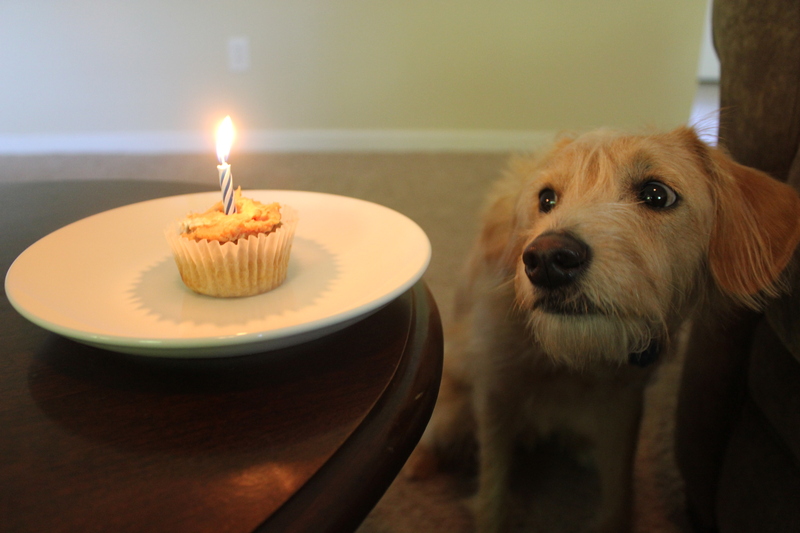 Once its cooked, allow the “pupcakes” to cool before you add the finishing touch — the frosting.